September 9, 2016 – The Lockheed Martin-built GE-1 satellite, which carried hundreds of channels to millions of viewers in North America and the Caribbean, yesterday celebrated its twentieth year in space. It was launched on September 8, 1996 aboard an Atlas IIA rocket from Cape Canaveral Air Force Station in Florida. 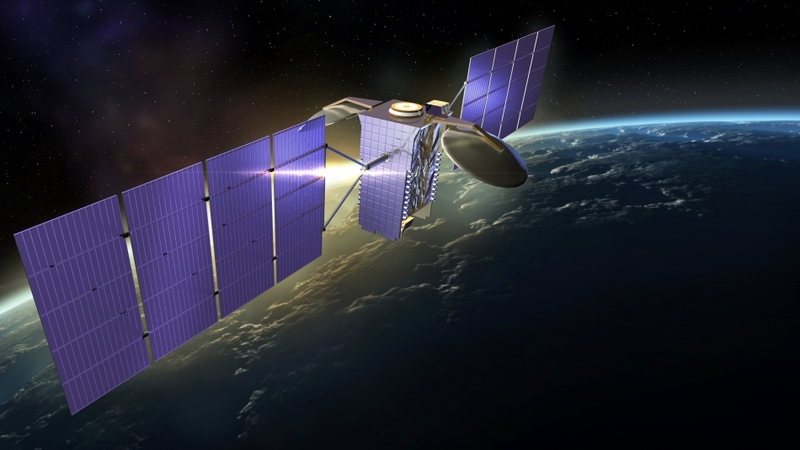 GE-1 is the first of more than 50 satellites built on the A2100 common framework. The satellite, now renamed AMC-1, is operated by SES and was primarily used by national broadcasters until it was replaced by SES-3 in the summer of 2015. AMC-1 is now located at 129 degrees West, operating in inclined orbit and supporting SES’s growing mobility and government markets. Recently, Lockheed Martin completed an internally-funded, multi-year modernization effort to enhance the A2100’s power, propulsion and electronics, while also adopting the latest advanced manufacturing techniques to decrease production costs and timelines. Modernized A2100 satellites are in production today for customers in Japan, Saudi Arabia and the U.S. Air Force.